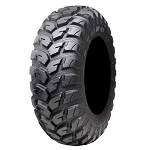 - CST Abuzz ATV Tires are sold individually. 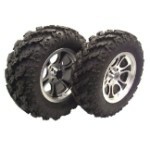 - Our Abuzz tires generally ship out within 1 business day! 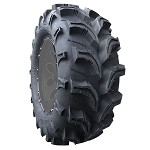 - An all terrain tire built to conquer everything from soft to hard pack terrain, and mud, sand or rocks. - Lightweight construction for effortless steering, quick braking and rapid acceleration. 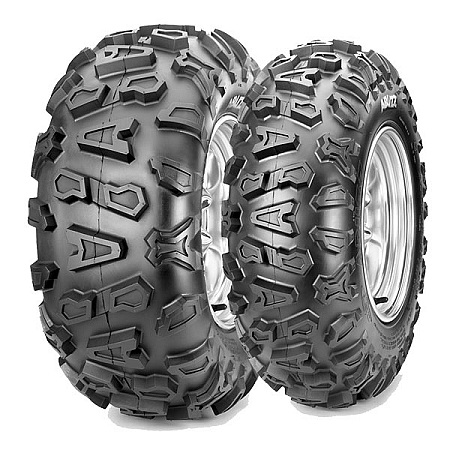 - Shoulder lugs provide extra traction while cornering and protect the sidewall in rugged terrain. - 6-ply rating construction for extra load capability and durability. - Priced right - you won't find a tire that's tougher or more capable at such a reasonable price. Update on Abuzz tires VERY weak sidewalls.First 120 mile ride 2 tires and 8 plugs in sidewalls. Would not recommend this tire for Az Rocks. Tread is great and with very little wear. So far very pleased with my new CST Abuzz tires, mounted on a 2004 Kawasaki Prairie 700. 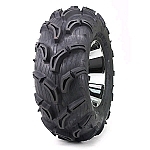 The ride on hard pack is very smooth and aggressive enough tread for rock crawling. Q: What are the weights for a size 26x9-14 and a 26x11-14? A: The fronts are roughly 22 lbs. and the rears are roughly 28 lbs. Q: Good afternoon, I was curious how heavy the CST Abuzz 26" x 8" x 12r, and the 26" x 10" x 12r were? Can't seem to find weights on these tires anywhere. Q: Will the ABUZZ 27 x 11 x 12 work on a 2015 Honda Foreman? Q: What is the tread depth?